Every year I drive to York from Lancaster. 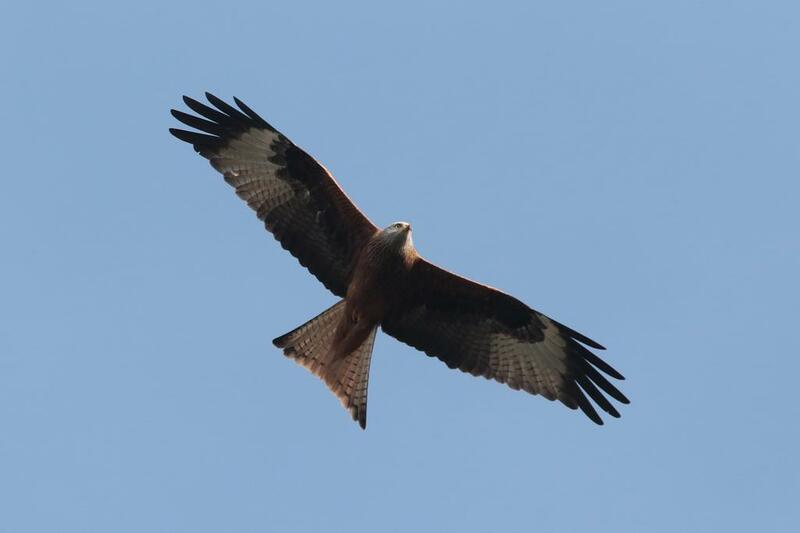 This year was by far the best year for Red Kites. I have never seen any to the east of the A1 but this year I saw 13 in one drive, the furthest east was over Askham Bryan Agricultural Cottage. They are obviously exploding now. If you buy one, a second is then offered for 30% off, so it makes sense to buy with a friend. 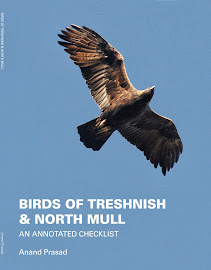 The book would have been incomplete without the records submitted by Mull birders, either to the Argyll Bird Club or to Alan Spellman at mullbirds website and also the valuable work of the Treshnish Isles Auk Ringing Group. To all those I give my thanks. The hardback book is 72 pages and the magazine is 92 pages both with photos of 60 species. It is basically a list of records by species up until December 2012, arranged so the most detail is given to the most scarce. Records of uncommon species are often arranged by season and site. Species status is given for both Treshnish and (where different) north Mull and, where relevant, labelled by rarity within Mull, Argyll and Scotland. An appendix gives lists of the species which the newcomer might be surprised to learn are rarities on Mull and Argyll, some of which need detailed description to gain acceptance. North Mull birders are still looking for a Lesser Whitethroat!